I love Doctor Who, though I’m a relatively recent convert. I think I became a fan about two years ago. I’m very much enjoying Peter Capaldi’s take since taking over the role of The Doctor. It was around 2004 that I discovered one of my favorite authors, Paul Auster, and I’ve read nearly every one of his books since. Of late, Paul Auster has been appearing in my various Facebook and Twitter feeds for this video/article. 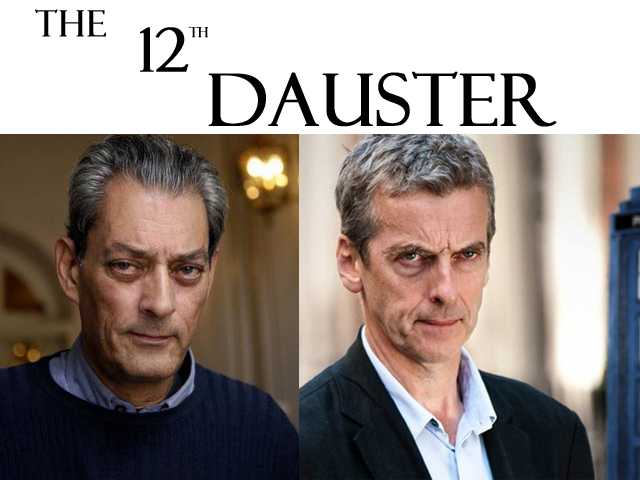 And then it hit me – Paul Auster and Peter Capaldi look very much alike. I created the below image very much in admiration of the two men.